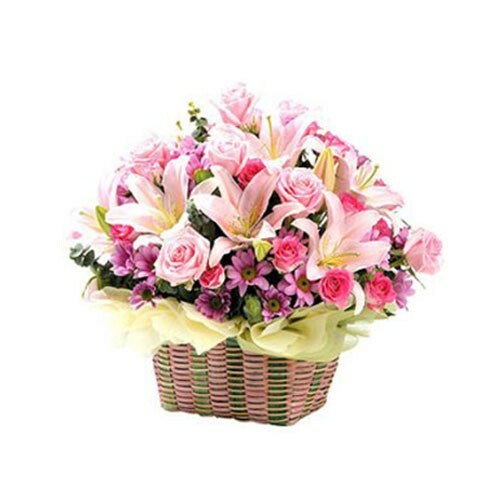 Encourage smiles this season with our bright, hand-designed basket arrangement of lilies, daisy poms, and roses. Just the gift to get them thinking of Spring. Quantities Lilies, Daisy poms, and Roses.